With so many varied and breathtaking landscapes, a trip to the Landes means enchantment for all ages. Take a deep breath of sea air as you walk along the kilometres of beach bordering the Atlantic Ocean. Surf enthusiasts are in for a treat with the renowned waves of the Landes coast, whilst nature-lovers will long remember exploring the vast pine forests. Inland from the sea, enjoy a holiday to the rhythm of local gastronomy and traditions. For something completely different, discover the Ecomuseum Marquèze and travel back to a corner of the Landes de Gascogne as it was in the 19th century. Authentic and unforgettable! 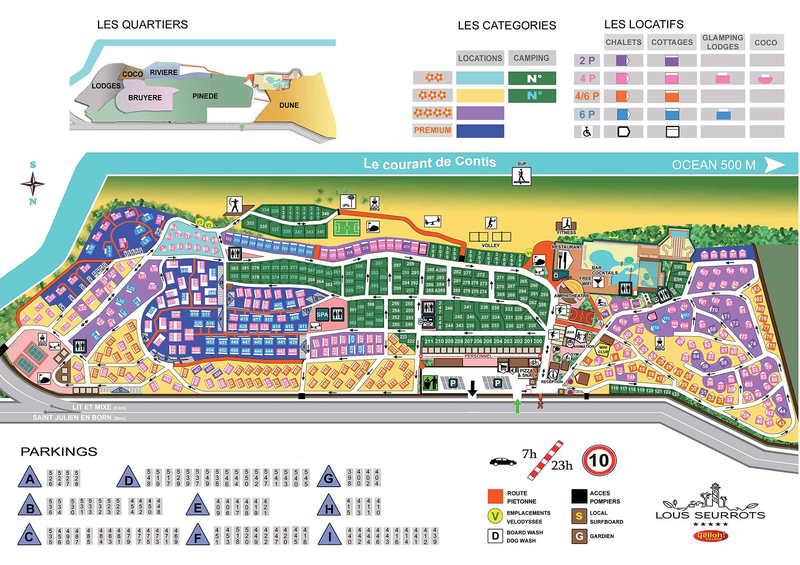 Discover Contis during your stay at the camping Lous Seurrots. Between the ocean and the forest, this pretty little town offers a surprising range of activities for all the family: walking, cycling, horse-riding, watersports, sea bathing and even a visit to a lighthouse... Something for every taste! Not far away, stop off in the charming, hundred year-old seaside resort of Mimizan. The "Pearl of the Côte d'Argent" never fails to delight with its pine forests, dunes and Gascony footpaths... Prepare to be enchanted! If you appreciate the local traditions of the Landes, Dax is a must-visit! Vibrant and lively with its Ferias and other musical and gastronomic festivals, this is the ideal starting point for a memorable family day out. A town with a rich historic heritage, it is also France's top spa destination.